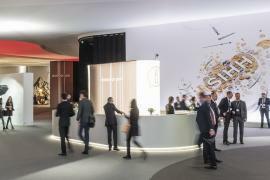 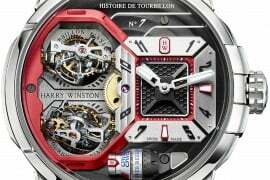 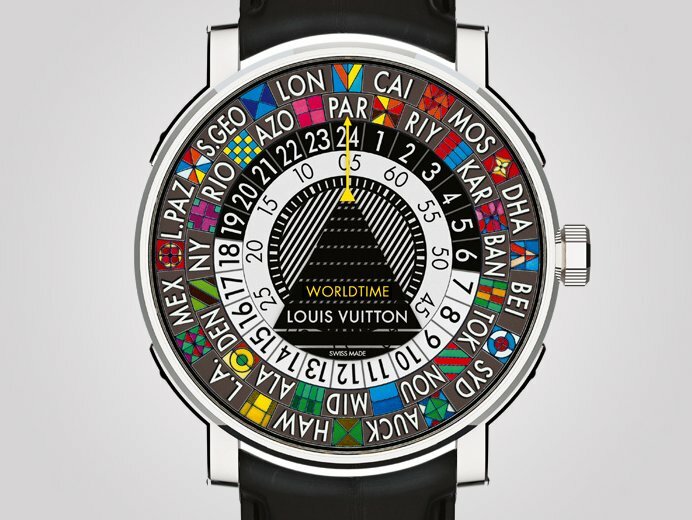 Baselworld 2012 is a jolly good time of the year for watch lovers and watch collectors across the globe; for it is one of those rare times when the most renowned names in watch making can be found under one roof with their finest pieces ever. 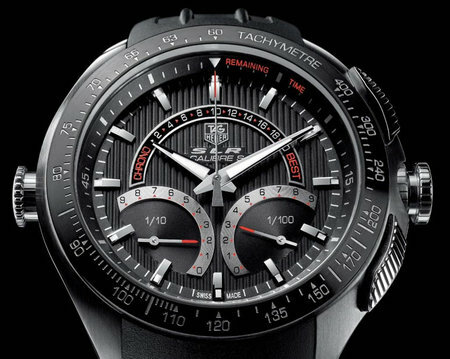 In our pursuit to keep you updated about the many timepieces at this fair which truly redefine luxury, we present our latest find, the TAG Heuer Formula 1 Lady Yin Yang. 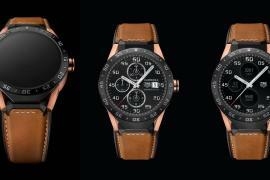 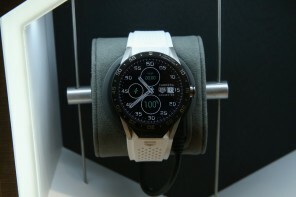 Two years back, TAG Heuer had unveiled F1 Lady series watches at Baselworld. 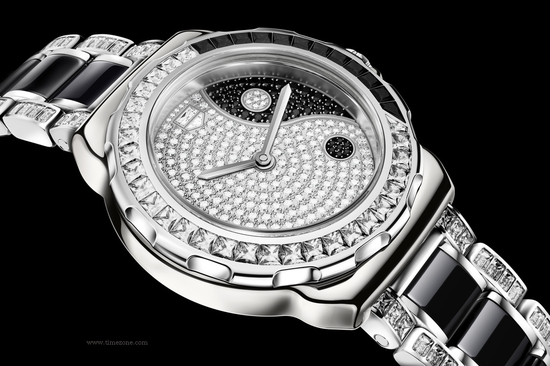 This year, gold, ceramic and haute joaillerie are the secret ingredients for this Yin-Yang interpretation. 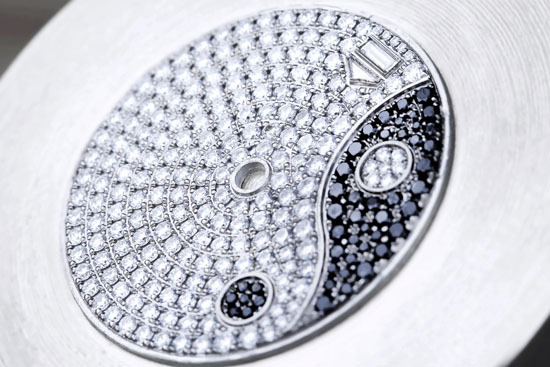 The sparkle is added by diamonds (black diamonds for Yin, white diamonds for Yang) that adorn the 18-carat white gold Yin-Yang fashioned dial. 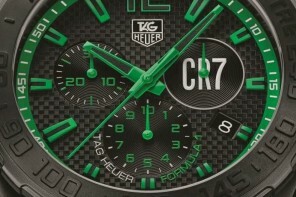 It is also the first time that a TAG Heuer case features baguette diamonds sets on the bezel and the bracelet. 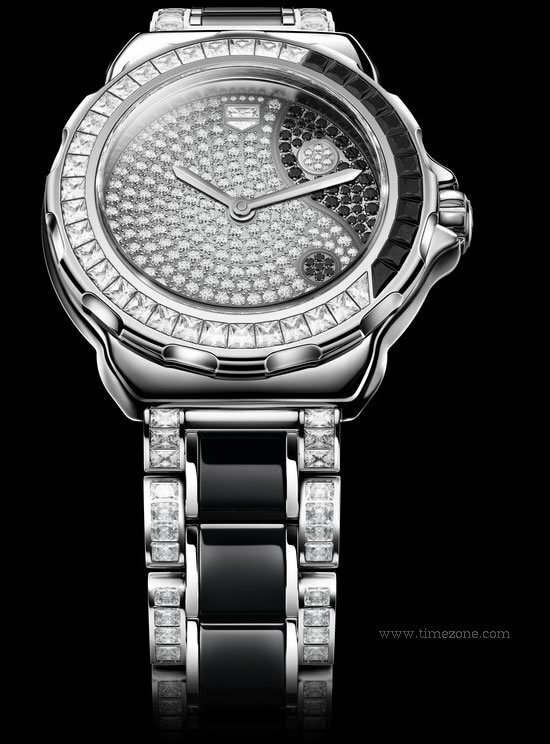 What is more the exquisite baguette diamonds have been arranged in such a way so as to form a TAG Heuer shield at 12 o’clock. 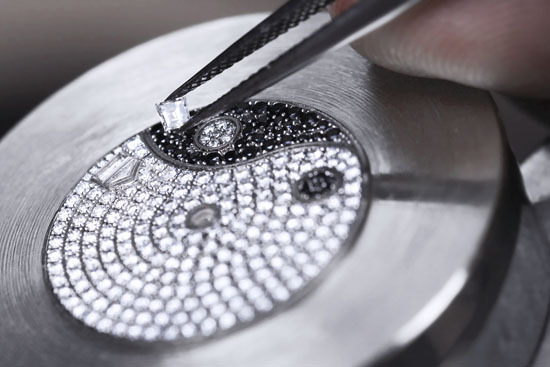 In totality, the beautiful timepiece boasts of 234 baguette cut diamonds and 245 brilliant cut diamonds. 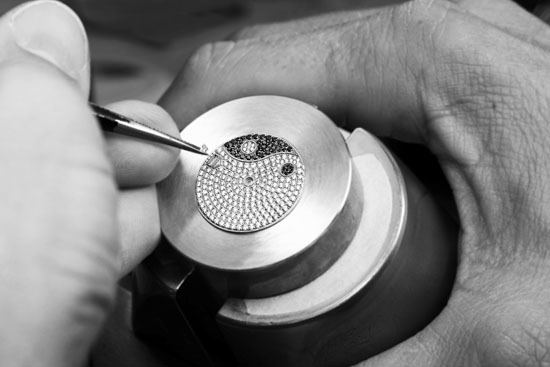 Now this is what we call a true example of exquisite watch making. 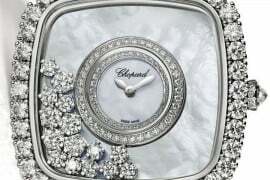 Right ladies?